Which muscles do bushwalkers use? 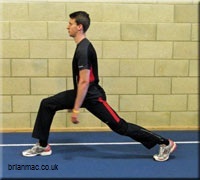 Which are the appropriate static and dynamic stretches for bushwalkers to do? How should I perform each stretch? Here are some of important muscles used in bushwalking, although most experts will tell you that bushwalking with a pack and walking poles gives just about all muscles a thorough workout. Source: Fitness Blender Calories Burned Hiking – What Muscles are used in Hiking? iMuscle is a great iPhone/iPad/laptop app which shows all the muscle groups and exercises associated with them. Here are a selection of stretches for both before and after a bushwalk, recommended by three highly regarded fitness websites. Use the links provided, in the first column, to see how to do them or download one of the recommended posters or brochures, which I have cross-referenced. 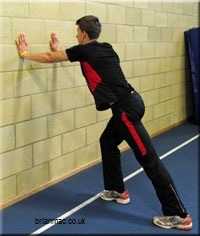 A search within YouTube for the particular stretch, will produce some excellent videos. You only need to select 5-10 minutes worth, and can vary these from session to session. 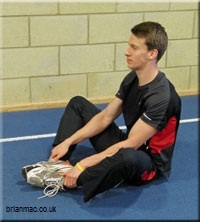 Many experts say that pre-exercise stretches should mimic the actions about to be performed (sports-specific) to get maximum value, while others says that each of the muscle groups should be stretched (generic). As most muscles groups are involved in bushwalking, especially with poles, I have adopted a generic, whole body dynamic warm up, as seen above, which can be done in 6 minutes, with no equipment. While learning this dynamic stretch routine, you can download and play this video on your smartphone or tablet.If 6 mins is too short, you can repeat the routine or add some of the dynamic stretches below. Take care when selecting dynamic stretches from websites/posters/brochures as some are really static stretches (held at maximum extension) rather than dynamic. After your walk, when you are thoroughly warm, you should select some of the static stretches from the list below. Some will be more appropriate in an outdoors setting and others should be selected to target specific areas of soreness. Click the links below to see either a photo or video of the stretch. 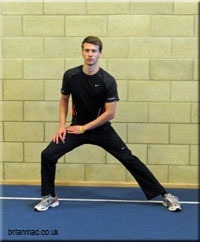 Dynamic Stretches, during warm up, after a low intensity 5 min walk. Static Stretches, during cool down, after a 2-5 minute slow walk. Fitness Blender Calories Burned Hiking – What Muscles are used in Hiking?